Vice President Mike Pence speaks at Camp David on Jan. 6, 2018. 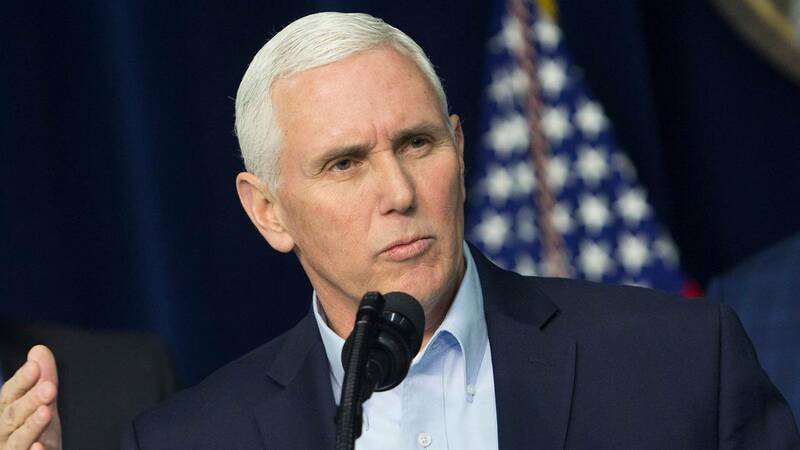 WASHINGTON (CNN) - Vice President Mike Pence will leave late next week for a Middle East trip that will take him to Egypt, Jordan and Israel, his office announced Monday. Pence's Middle East swing is taking place a month later than originally scheduled after Pence delayed the visit to remain in Washington for the tax vote. The postponement also came amid tensions in the region over President Donald Trump's recognition of Jerusalem as Israel's capital. "At President Trump's direction, the vice president is traveling to the Middle East to reaffirm our commitment to work with the US' allies in the region to defeat radicalism that threatens future generations. The vice president is looking forward to meeting with the leaders of Egypt, Jordan and Israel to discuss ways to work together to fight terrorism and improve our national security," the vice president's press secretary Alyssa Farah said in a statement. Pence is no longer scheduled to visit the West Bank or meet with Palestinian Authority President Mahmoud Abbas, whom Pence was initially scheduled to meet with in December. Abbas canceled that meeting in protest over Trump's Jerusalem decision. Pence will leave on January 19 and arrive in Egypt on January 20 to meet with Egyptian President Abed Fattah el-Sisi before traveling to Jordan to meet with King Abdullah on January 21. Pence will cap off his trip with two days in Israel, meeting with Israeli Prime Minister Benjamin Netanyahu and President Reuven Rivlin. There, Pence will give a speech at the Knesset, visit the Western Wall and the Yad Vashem museum. Pence's visit now comes as protests have quelled in Jerusalem and the West Bank over the decision. Bu tensions in the region are still running high. Palestinian officials have refused to engage in a US-led peace process in the wake of Trump's Jerusalem decision and Trump last week threatened to withhold US aid to the Palestinian territories if the Palestinians don't return to the negotiating table.